Divija Pillai, Anil J Purty, Stalin Prabakaran, Zile Singh, Govindarajan Soundappan, Velavan Anandan. Background: India accounts for one-fourth of the global incident tuberculosis (TB) case load and tops the list of high-burden countries. Initial default and loss to follow-up are important challenges in achieving the objectives of the Revised National TB Control Programme (RNTCP). Objective: A study was carried out to estimate the proportion of initial defaulters, reasons for initial default, and recommendations to reduce initial default. Materials and Methods: A record-based study was carried out to identify the initial defaulters among new sputum-positive TB patients diagnosed during 1 year (2013) in four medical colleges of Puducherry. On the basis of the completeness of recorded residential address and availability of the patients, 38 patients were contacted and enrolled in the study. A pretested and predesigned questionnaire was used to interview the patients and open-ended questions were used to elicit the reason for initial default. Results: The proportion of initial default among all the four medical colleges was 15.1%. Patient-related factors for initial default were long distance to the health facility, lack of support from the family members, being advised against alcohol consumption while taking treatment, monetary constraints, job constraints, not convinced about results by the health facility, stigma related to TB, and lack of awareness regarding TB. Health system-related factors were unpleasant experience with the health system, lack of dissemination of adequate information regarding further course of action to the patients, and nonavailability of the laboratory staff. Conclusion: The magnitude of initial default was found to be high in Puducherry and most of the reasons for initial default found in this study were preventable. Systematic methods to prevent initial default need to be chalked out by program managers in collaboration with various medical colleges under the RNTCP. 1. WHO. Global TB Report. Report No. ISBN 9789241564656. Geneva: World Health Organization, 2013. pp. 14. Available at: http:// apps.who.int/iris/bitstream/10665/91355/1/9789241564656_ eng.pdf (last accessed on February 12, 2014). 2. RNTCP. Technical and Operational Guidelines for TB Control. RNTCP. New Delhi: Government of India; 2005. Available at: http://www.tbcindia.org (last accessed on June 24, 2014). 3. Ministry of Health and Family Welfare, Govt. of India. Annual Status Report; TB India 2014. New Delhi: Ministry of Health and Family Welfare, Government of India; 2014. Available at: http://www. tbcindia.nic.in/pdfs/TB%20INDIA%202014.pdf (last accessed on May 14, 2014). 5. TB Facts.org. TB in India: RNTCP, TB Care and Drug Resistant TB. TB factsheets. [Internet] 2013. Available at: http://www.tbfacts.org/tb-india.html (last accessed on April 25, 2014). 7. WHO. Standards for TB Care in India. New Delhi: Government of India, 2014. 9. Gopi PG, Chandrasekaran V, Subramani R, Narayanan PR. Failure to initiate treatment for tuberculosis patients diagnosed in a community survey and at health facilities under a DOTS programme in a district of South India. Indian J Tuberc 2005;52:153-6. 10. Muhammad GM, Ethiraj N. A study of efficiency of referral and compliance of tuberculosis patients in existing network under DOTSÂ—Cuddalore district, Tamil Nadu. Natl J Res Commun Med 2013;2(2):79-148. 12. Munir MK, Iqbal R, Shabbir I, Chaudhry K. Factors responsible for failure to initiate Tuberculosis treatment among smear positive pulmonary tuberculosis patients. Pak J Med Res 2012; 51(2):34-7. 15. Rao N, Anwer T, Arain I, Ara I. To evaluate primary default among smear positive pulmonary tuberculosis patients at three chest clinics of Ojha Institute of Chest Diseases, Karachi, Pakistan. Eur Res J 2011;38:4372-4. J Pharm Health Serv Res 2018; (): . BMC Infect Dis 2018; 18(1): . 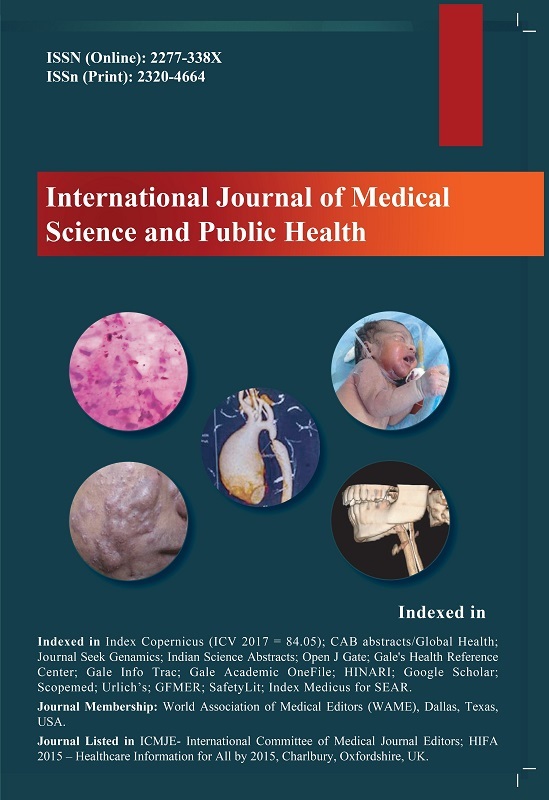 Indian Journal of Tuberculosis 2017; (): . PLoS ONE 2017; 12(8): e0183240. PLoS Med 2016; 13(10): e1002149.